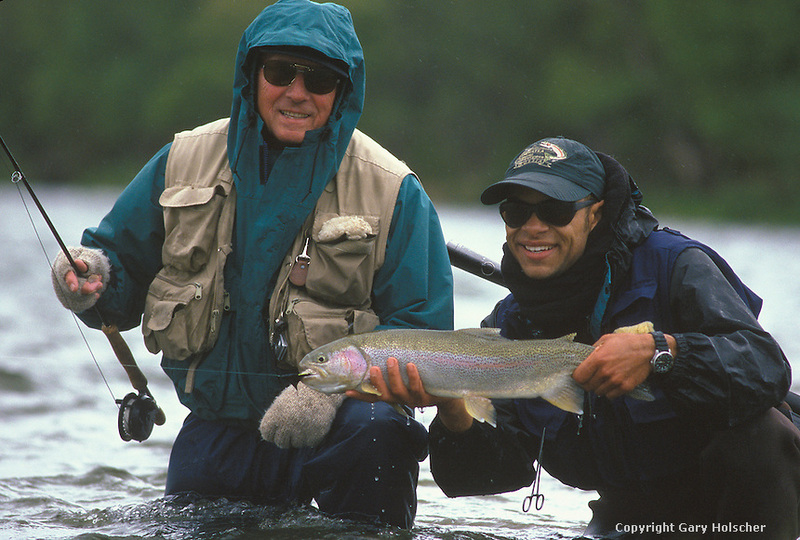 Flyfisherman & Guide, showing recently caught wild rainbow trout. Alagnak River. AK. Model Released.